I'm currently having a great weekend in the Gold Coast - the highlight being On Stage on Saturday. I'll share more information on that later in the week and I'll share sneak peeks from the upcoming Occasions Catalogue as soon as possible! These are samples of the swaps I took with me to On Stage. The You've Got This flowers are coloured with the new Stampin' Blends alcohol markers and cut out using the out of the box technique (keep scrolling down for a tutorial on that technique). I used four alcohol markers for each flower. 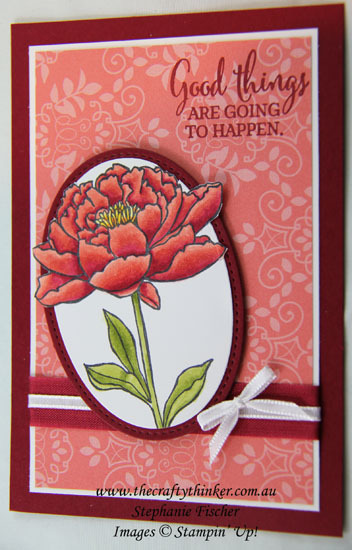 For the Cherry Cobbler version I used the Cherry Cobbler Stampin' blends as well as the Calypso Coral. 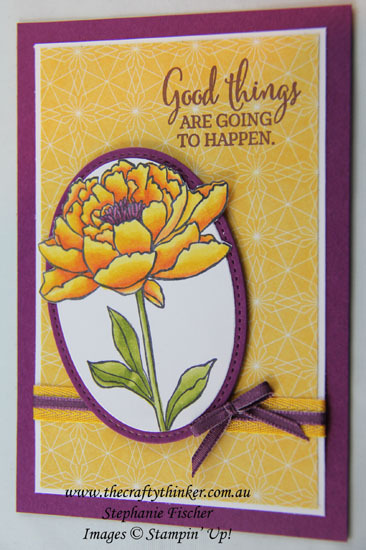 For the Daffodil Delight version, I used the Pumpkin Pie markers as well as the Daffodil Delight pair. 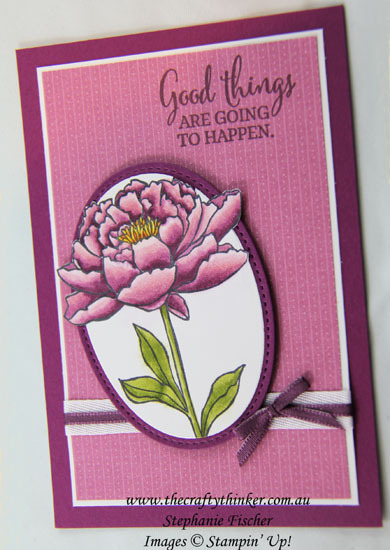 For the Rich Razzleberry sample, I used team those two markers with the two Pink Pirouette markers.